Nowadays, it isn't uncommon for a company to have several locations that need to communicate regularly. Not to mention, more and more folks are working from home. Ultimately, remote meetings are absolutely essential. And yet, it still isn't the great experience it should be. Believe it or not, in 2019, having a remote meeting in a conference room is still a clunky and awkward affair. Today, Logitech unveils a new device that it hopes will make remote meetings in conference rooms a much more pleasant and easy experience. 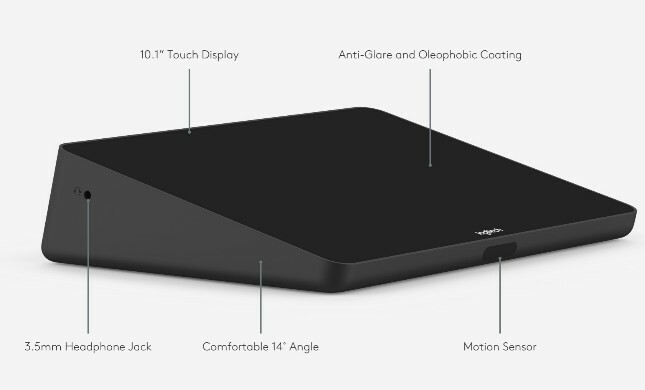 Called "Tap," it looks like a wedge-shaped tablet, but actually, it is not a standalone device. 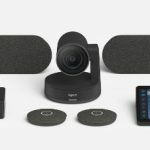 Tap connects to either a Windows 10 or Chrome OS computer and essentially manages USB-connected accessories, such as a webcam. It can even be mounted to a wall if you'd like -- it can sit on a table too, of course. Best of all, it is compatible with many platforms, such as offerings by Google, Microsoft, and Zoom. 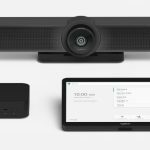 "Tap is part of pre-configured room solutions for major collaboration platform providers such as Google Hangouts Meet Hardware, Microsoft Teams Rooms (formerly Skype Room Systems), and Zoom Rooms. 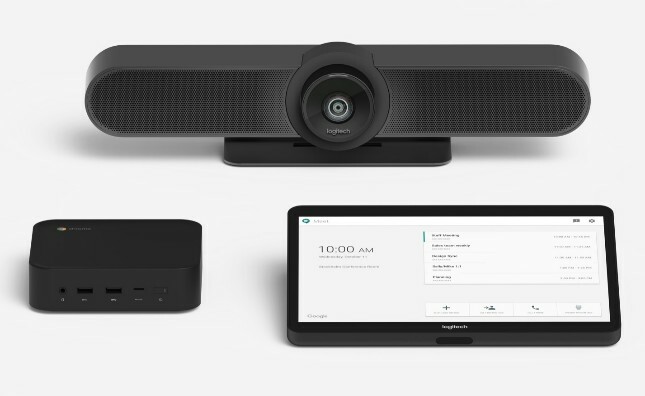 Like other Logitech conferencing equipment, Tap is built on open standards, enabling a broader set of integrations, for example with interactive whiteboards, room control functions, and more," says Logitech. The popular company further says, "Featuring a 10.1-inch touchscreen, HDMI input for content sharing, and robust cable retention, Logitech Tap is designed and engineered for reliable convenience in the meeting room. A range of table, riser and wall mounts offer tremendous placement flexibility, while in-wall rated cabling enables topologies and room layouts that please the eye as well as IT." Logitech shares the following specifications. Scott Wharton, vice president and general manager of Logitech Video Collaboration offers the following statement. Over the past five years, we’ve changed the video conferencing market by bringing simple, high-quality, video devices to the masses. 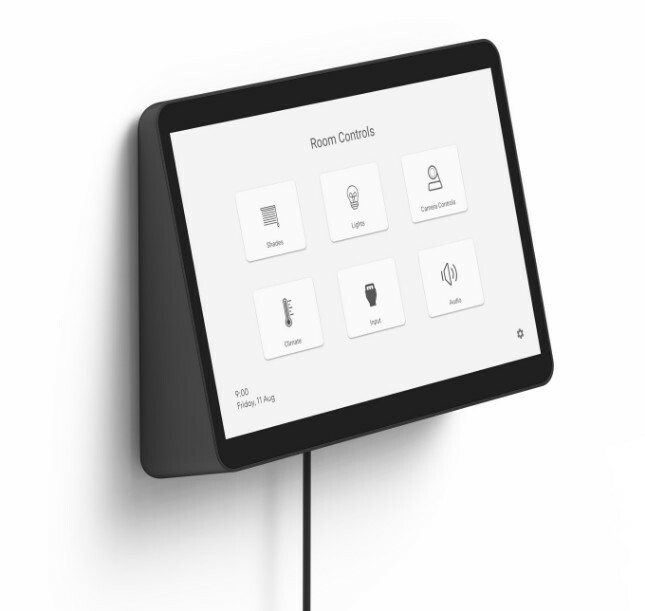 With Tap, we are extending our approach to meeting control. In addition to enabling one-touch video with the world’s leading collaboration providers, Tap challenges the complex and costly status quo of touch controllers by delivering an affordable, premium solution that can be used for a variety of applications well beyond video conferencing. The Logitech Tap will be available later this year, in the spring. The price for the device by itself is $999, but there will be pricier bundles offered as well. For instance, you will be able to purchase Tap in several configurations, with options for a computer, speakers, microphones, and webcams. 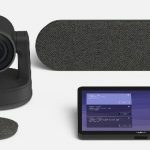 As you can see from the three images above (click to enlarge) Logitech is trying to make this a simple one-stop solution for small, medium, or large conference rooms.